Live Love Laugh & Scrapbook It! : Happy December & Merry Christmas! Happy December & Merry Christmas! 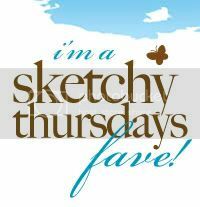 This is another card I made for the Second Chance Challenge at Sketchy Thursdays! I love their sketches! This is so pretty! Love that reindeer stamp! Thanks for playing along with us! Such an awesome blog! Love the reindeer stamp.